Passing the Freedom Act did not reform government snooping, so much as it made it legitimate, according to three-time presidential candidate Ron Paul. He asserts that Democrats and Republicans alike seek to reduce liberty for a promise of security. A Pennsylvania-born physician, Paul served in the House of Representatives for over 20 years before retiring in 2013. 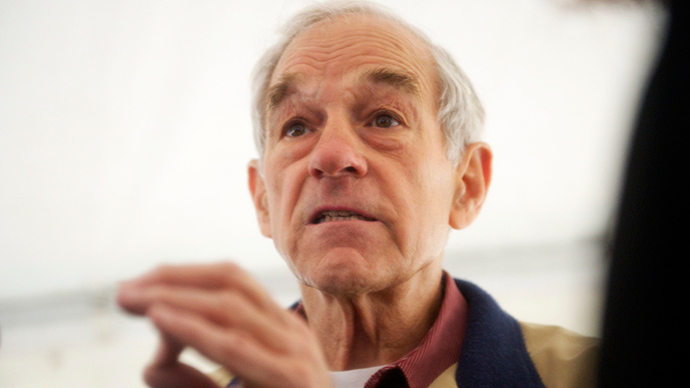 He ran for president three times: in 1988 as a Libertarian, and in 2008 and 2012 as a Republican. His son Rand was elected Senator from Kentucky in 2010. Joined by a handful of Senators and House members, Rand Paul led the push to block the extension of controversial Patriot Act provisions, and delayed the adoption of the USA Freedom Act, which re-authorizes NSA surveillance on Americans under slightly different conditions. The Freedom Act, adopted by the Senate on Tuesday and quickly signed by President Obama, actually makes the situation worse, Paul argued. A federal court ruled that Section 215 of the Patriot Act did not authorize bulk data collection, whereas the Freedom Act contains provisions to actually give the government that authority. Paul explained that his son called for fighting terrorism while honoring the Constitution and staying true to American values. King brought up that in 1937, Nazi Germany abolished warrants, with Hitler saying that innocent people had nothing to hide. Many Germans found this position appealing. Asked whether his son Rand’s stand on the Patriot Act might hurt his standing within the Republican Party, the former congressman said his son was standing up for his principles. While Republican hawks are at the forefront of attacks on Rand, Ron Paul argued that the problem was not partisan but institutional. There are just as many hawks among the Democrats, he said, pointing out that President Obama “says a lot of good things about backing off from war,” yet the US is still involved in the civil war in Yemen and “very much involved, unnecessarily” in Ukraine. True exceptionalism would mean leading by example, he said. If the US practiced civil liberties and had a good economy, maybe people around the world would decide it was something worth following and emulating.